Ramcharan a poor farmer from Katangi village near Jabalpur Madhya Pradesh works on others land to earn a living. A year ago, the family was elated by birth of a son. The family was in shock on realising that their son was Blind. They took him to Jabalpur Govt. Hospital. The doctors informed that the blindness can be treated through a specialised surgery which was not possible in that hospital. On hearing this the family was shaken and shocked and lost all hopes of restoring their son’s vision. Few months passed by and one day an old school friend who was a Doctor paid visit to his friend, the Gram Pradhan . They had not met over a long time and the doctor wanted to surprise him. During the visit the gram Pradhan discussed the apathy of Ramcharan and his situation. The doctor carried out the preliminary check-up of Ramcharan’s son. He then counselled Ramcharan that the Blindness was curable and he need not worry as he knew about a charitable organisation which is “Dedicated towards Eradication of Curable Blindness”. He called upon Mahindru Foundation and informed about Ramcharans son. Mahindru Foundation asked the doctor to send the family to their Gurgaon hospital. Mahindru Foundation diagnosed and assured Ramcharan that his son’s blindness was curable. The Doctors’ admitted his son immediately and carried out the specialised surgery. A week after the surgery his son was able to see. The family was elated with the success and were indebted to Mahindru Foundation, for carrying out the surgery on charity. Ramcharan returned to his village happy and has decided to Give Back The Society by volunteering for the Noble Cause “Dedicated towards Eradication of curable blindness”. 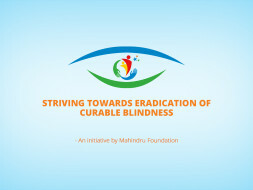 The Gram Pradhan has requested Mahindru Foundation to organise a free Eye Check Up Camp at Katangi for the community . 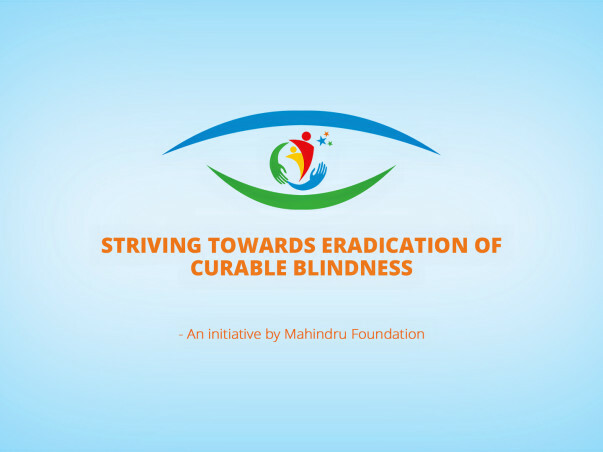 Mahindru Foundation has agreed and is carrying out a FREE EYE CAMP for the villagers on 13th October 2015.